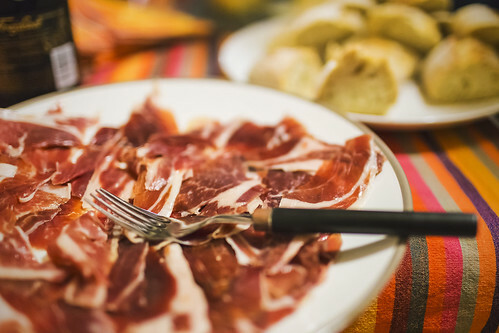 20131015_F0001: A plate of really tasty Spanish ham, a photo by wfxue on Flickr. - A plate of amazing Spanish air dried and cured ham (not sure what kind it is). The meat has just so much flavour, really tasty.